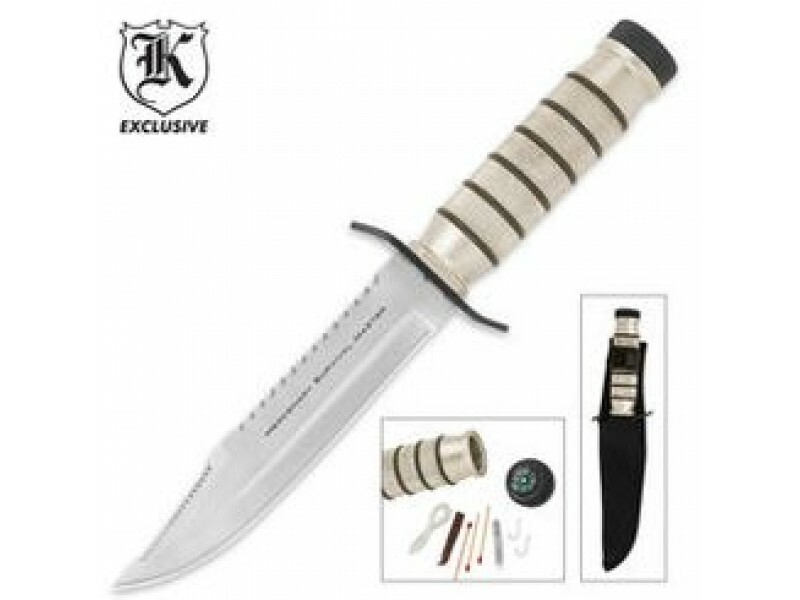 Buy Mercenary Survival Master Knife , from Budk - RBC VISA for $17.49 only in My e-commerce. A 5 1/2" double-serrated stainless steel blade will saw through anything. Unscrew the pommel and a survival pack is stored in the waterproof handle. Take this 9 1/2" survival knife anywhere and you'll be prepared for anything. You'll be nice and warm by the fire eating the fish you caught with the included hooks and line by the fire you started with the included matches. 9 1/2" overall. 5 1/2" blade.